Reservations can be made up to 6 months in advance and can be made online at PlayRockwall.com or by calling 972-771-7740. Room is 4350 sq. ft.
You will not be allowed in the building for your rental to decorate or unload gear before the start time reflected on your rental permit. Time to set up, decorate or clean needs to be reflected in your rental permit. There is a mandatory cleaning fee associated with renting the Lone Star Room of $300. This includes clearing trash from tables, sweeping, and restoring the facility to its original condition. All linen rentals must be placed no later than 2 weeks prior to your rental. 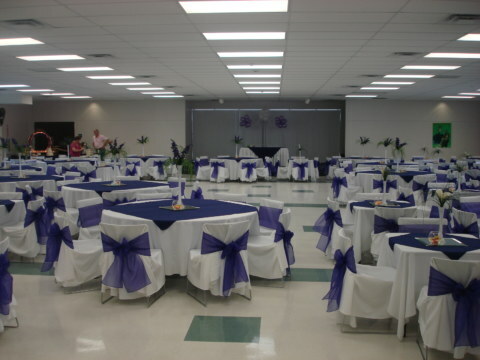 Hourly rental price includes: Chairs, tables, table linens, podium, projector screen. Security by Rockwall Police Deportment only. $200 Deposit will be refunded if no property damage occurs. class="page-template page-template-page-main-page page-template-page-main-page-php page page-id-178 samba_theme samba_left_nav samba_left_align samba_responsive wpb-js-composer js-comp-ver-4.11.2.1 vc_responsive"